Fresh off of adapting the Ernest Cline's novel Ready Player One, Zak Penn will now adapt ROM for Hasbro’s Allspark Pictures and Paramount Pictures. Since selling his first script The Last Action Hero at 23., Penn's credits include X-Men 2, X-Men: The Last Stand, Elektra, The Incredible Hulk, The Avengers, PCU, Behind Enemy Lines, and Suspect Zero. He is currently working on a script for a new film set within The Matrix universe. Allspark Pictures currently handles the development and production of live-action entertainment of Hasbro brands. ROM originally began as a toy created by Scott Dankman, Richard C. Levy, and Bryan L. McCoy and sold and produced by Parker Brothers in 1979. To build interest in the character, Parker Brothers licensed the character to Marvel Comics and ROM: Spaceknight ran from December 1979 through February 1986. The comic book outlasted the toy, which only sold between 200,000 to 300,000 units in the United States. Short for Read-only memory, ROM is a cyborg hailing from a utopian society on the planet Galador. 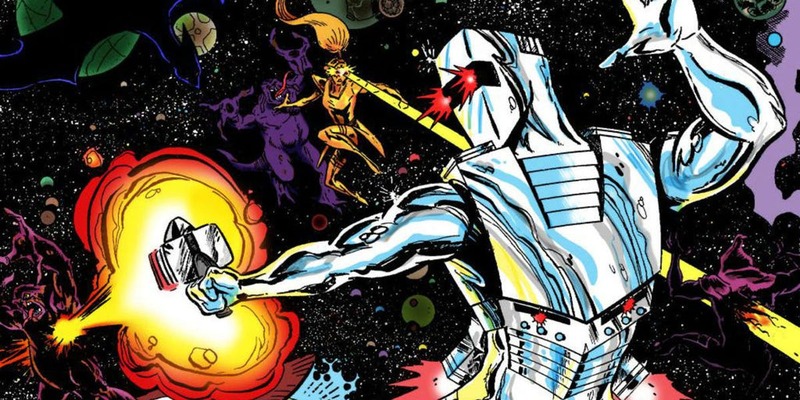 After defeating the invading Dire Wraith alien race on its planet, ROM continues to battle them on Earth and other planets. The series has been considered a potential tentpole for Hasbro for quite some time, and Penn seems to be a good choice with his prior experience with comic book movies and the sci-fi genre.